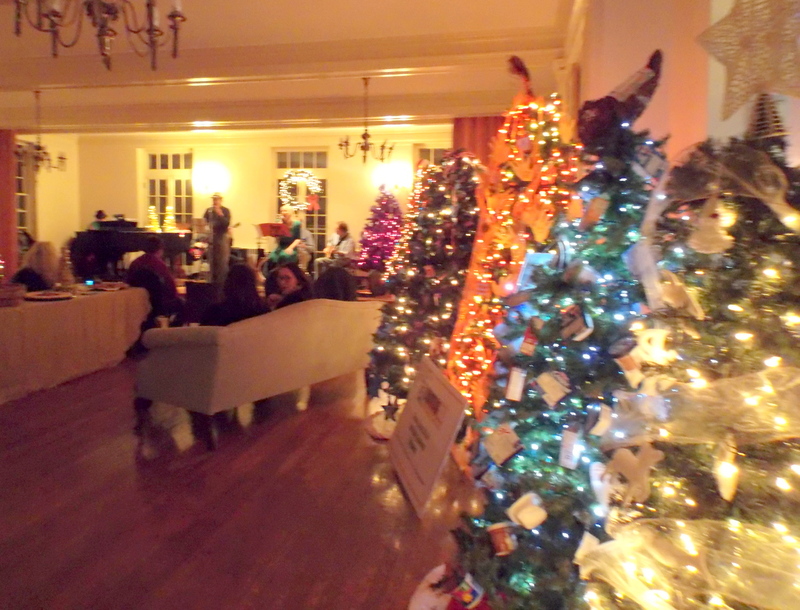 The Schenectady County Historical Society and the YWCA of Northeastern NY kicked of their fundraising Festival of Trees last night, with a Night of Lights soiree at the Historical Society (32 Washington Avenue) and a Christmas party for staff, residents and volunteers at the YWCA (44 Washington Ave.). 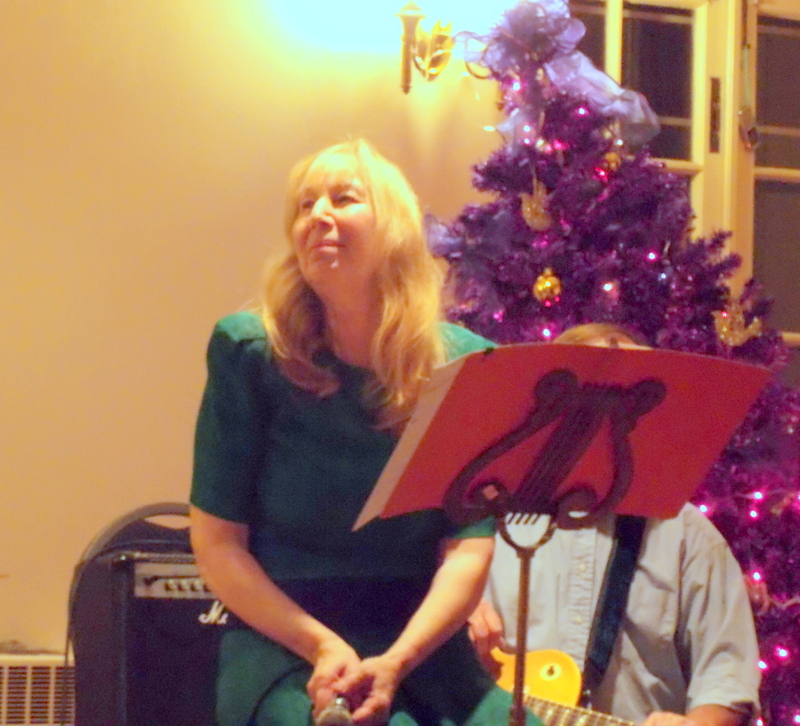 I attended the Y’s Party, to see Kitchen Jazz perform holiday tunes, with Richard Genest of Arthur’s Market and Sylvie Briber (above right) on vocals; they are backed up by Dave Kitchen, guitar, Jim Connelly, bass, and Norm Ainslie, drums. 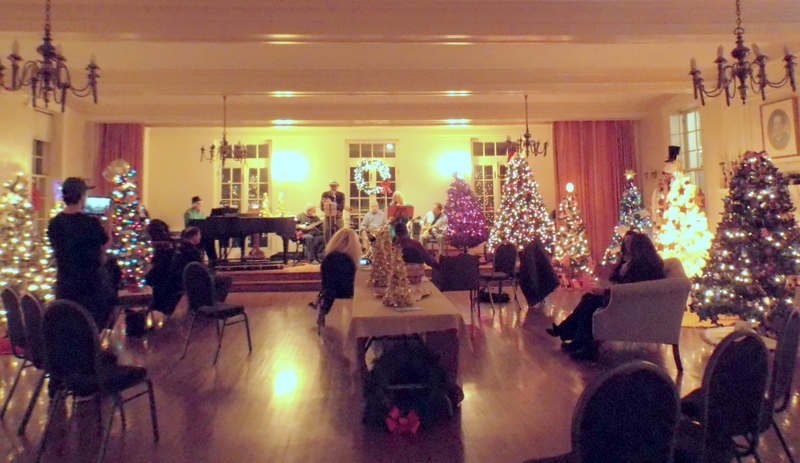 ; with Doug Chilton (above left) sitting in on piano for the party. 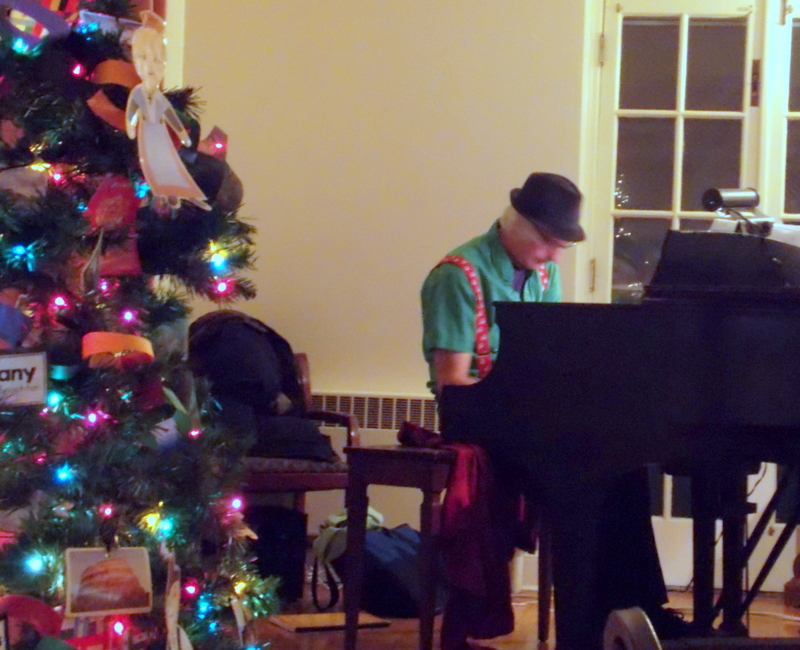 Kitchen Jazz was smooth and loose and the party guests enjoyed their seasonal musical renditions. . . above: the lovely party room with Kitchen Jazz on stage . .
As you’ll see in the following slideshow, there was a plethora of well-decorated trees. To see a larger version of any photo in the Slideshow, pause on it, right-click and choose Open Image in New Tab.